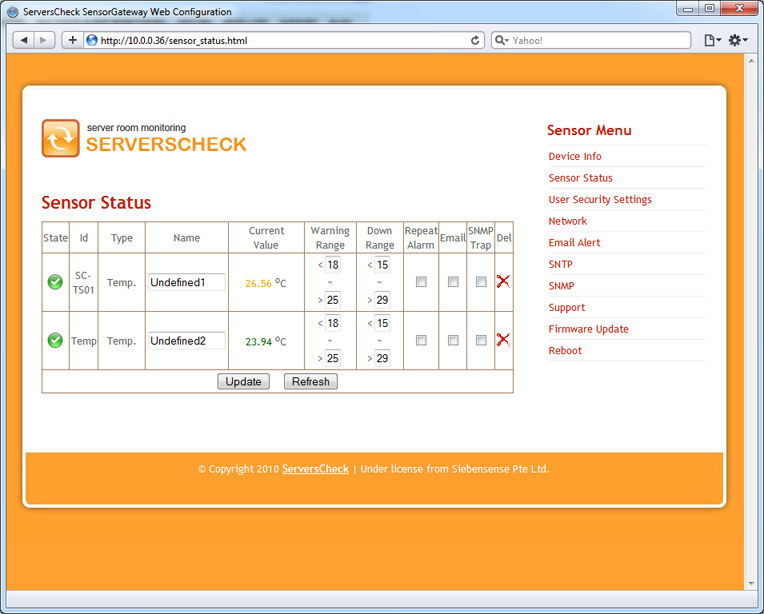 The SensorGateway is an IP enabled temperature sensor and the base unit to which all other sensors connect to. 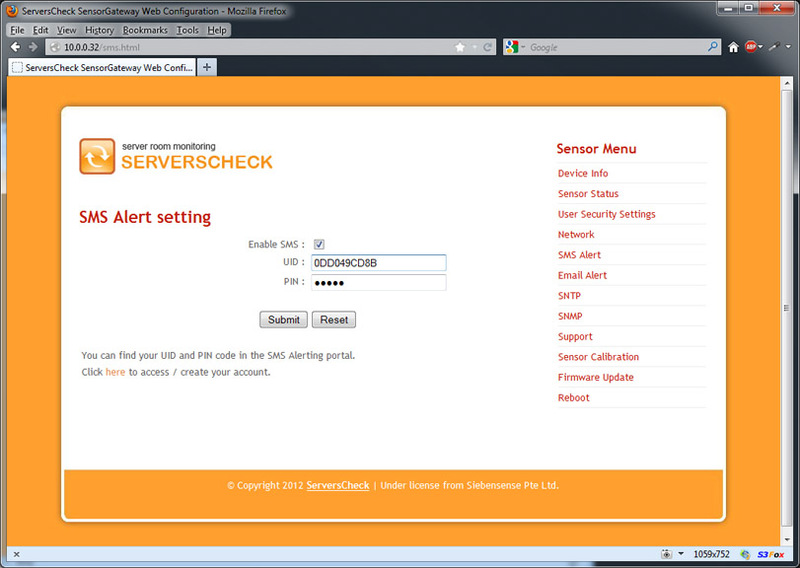 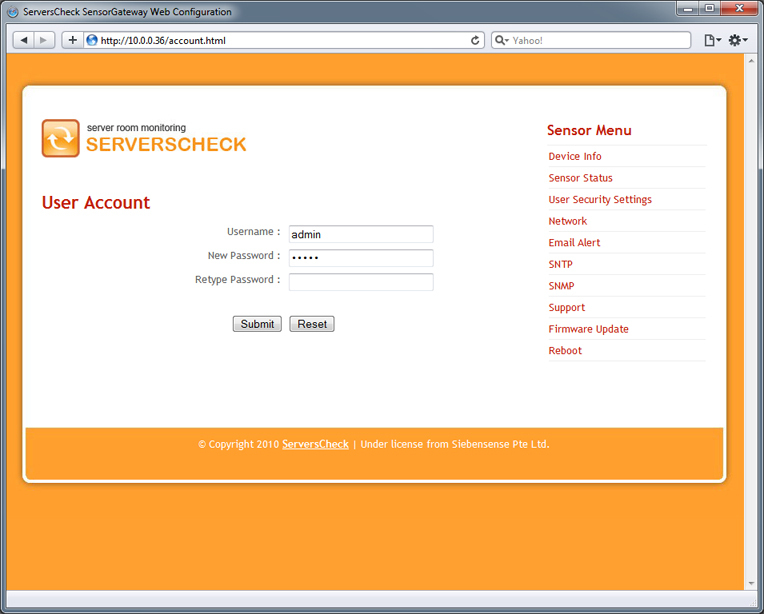 The base unit can be accessed and configured using a web server over HTTP or HTTPS. 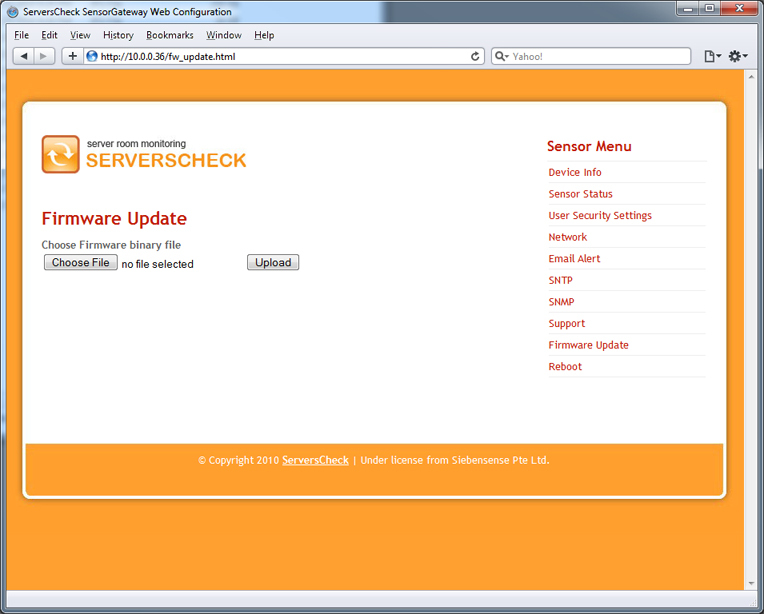 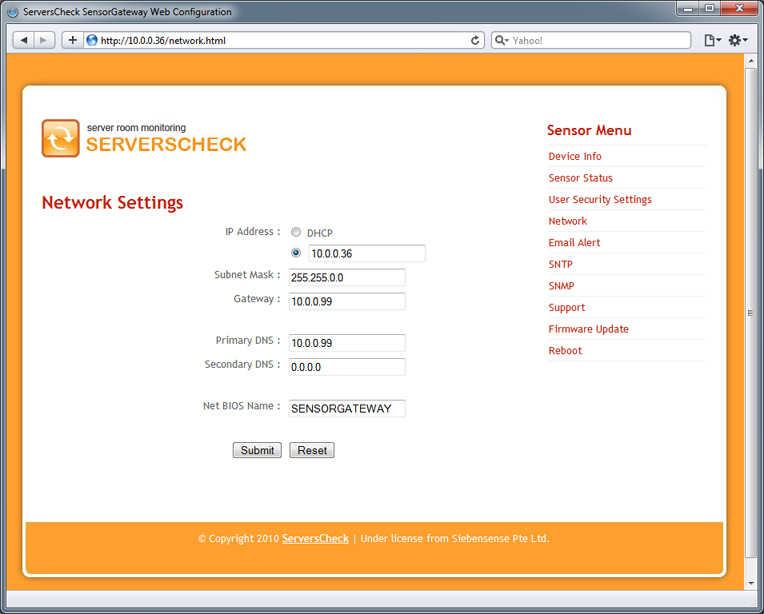 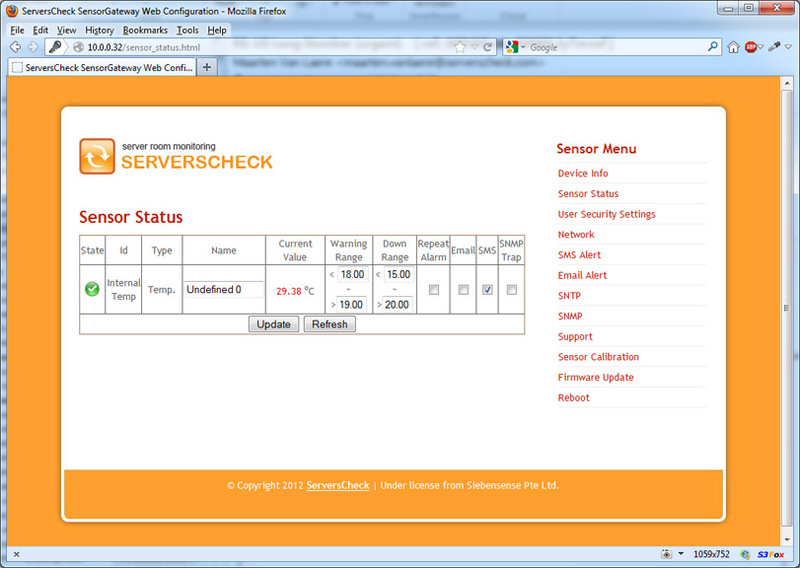 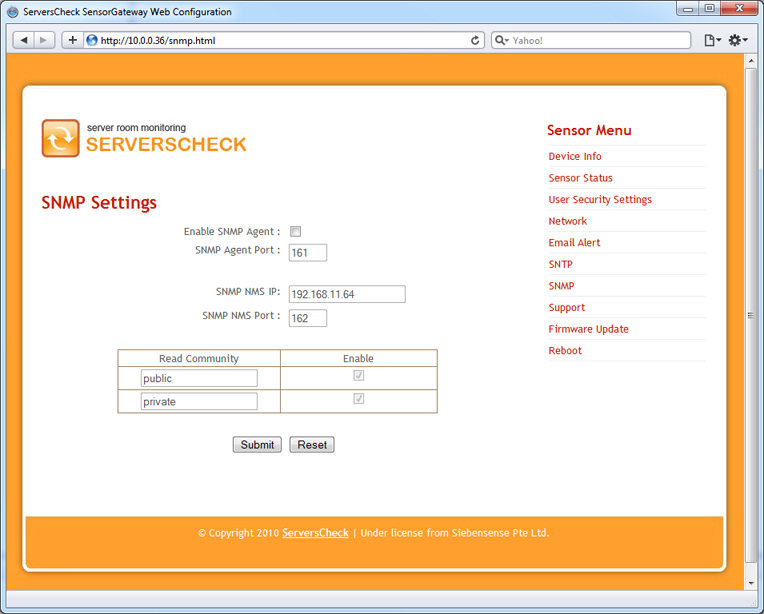 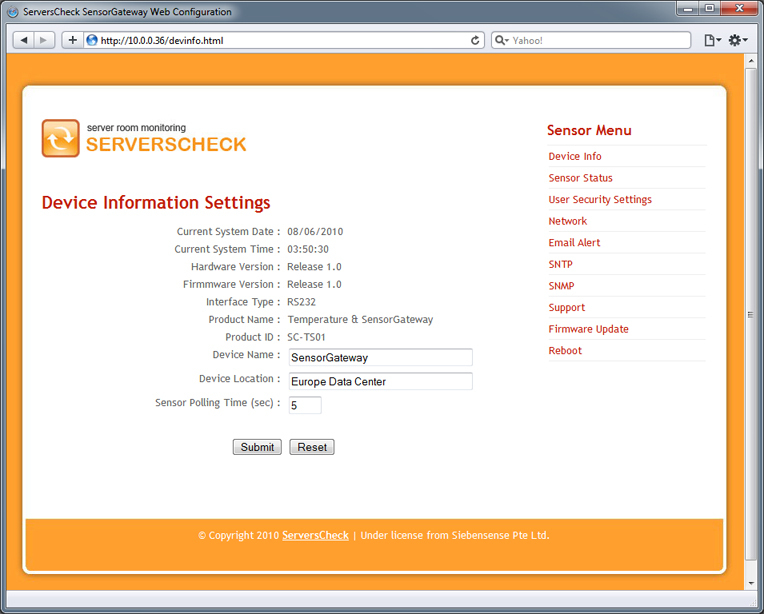 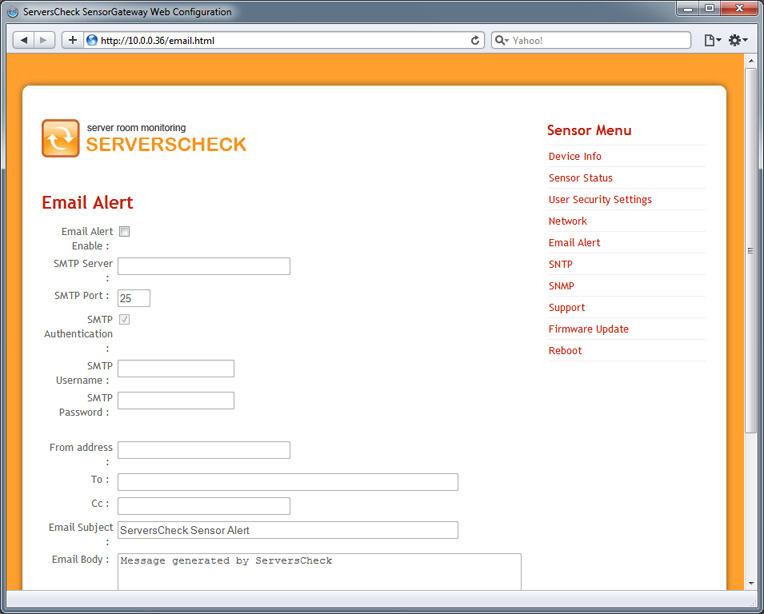 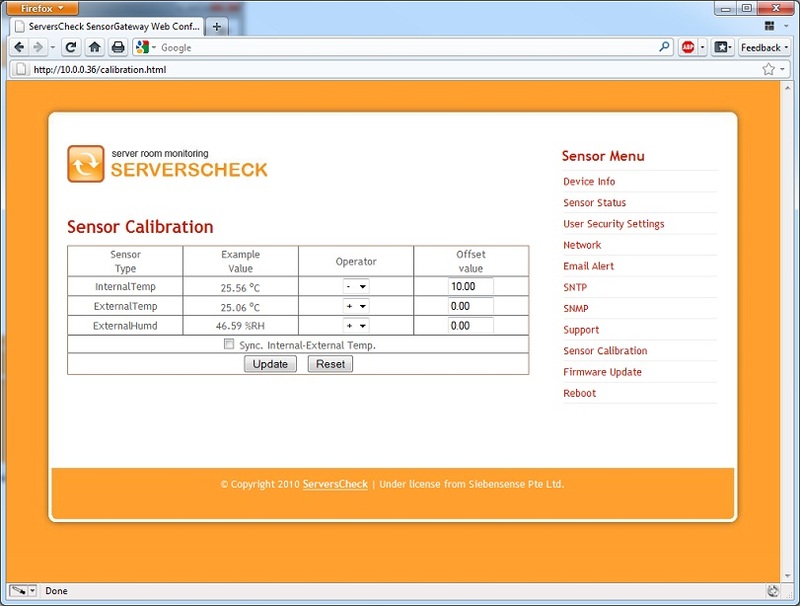 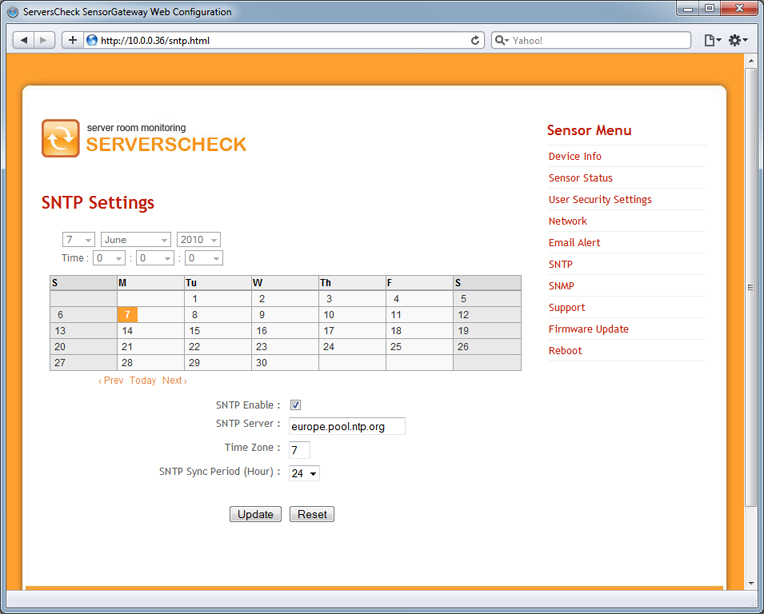 Click on one of the images below to view the different screens available in the SensorGateway interface.